Microsoft’s Project Detroit showed off what a car crossed with Windows Phone and Kinect could look like, but that might have been just a glimpse of the company’s plans, a new job posting has made known. The listing, for one “Software Development Engineer in Test II Job,” is all about what Microsoft wants to do with cars, and its software and service products. Here’s a hint: the software goes into the car, not the other way around. Painting a picture in which consumers are always on the go, and a time in which the traditional desktop-on-a-desk is receding quickly into the sunset, the post states that “[t]he era of Personal Computing has arrived.” That means you get to take it with you, it seems. “For the next generation of the Connected Car Platform, we plan to leverage the full power of the Microsoft ecosystem including Kinect, Windows 8, Windows Phone, Windows Live, Bing, Azure, and Tellme. The combination of rich local sensing, user identification, cloud access, and data mining will transform tomorrow’s cars from passive objects into intelligent assistants for both the driver and their passengers. That’s no small vision. The product that is being described, if it is ever built and placed into a car, would be a central nervous system pulling from every corner of Microsoft’s empire, while at the same time being deeply integrated into the car itself. Even more, the vision that is being described is certainly connected; how Microsoft plans to link millions of cars to the Internet is a bit unclear. Now, this is the sort of project that we don’t expect massive, real-world results from in the near future. 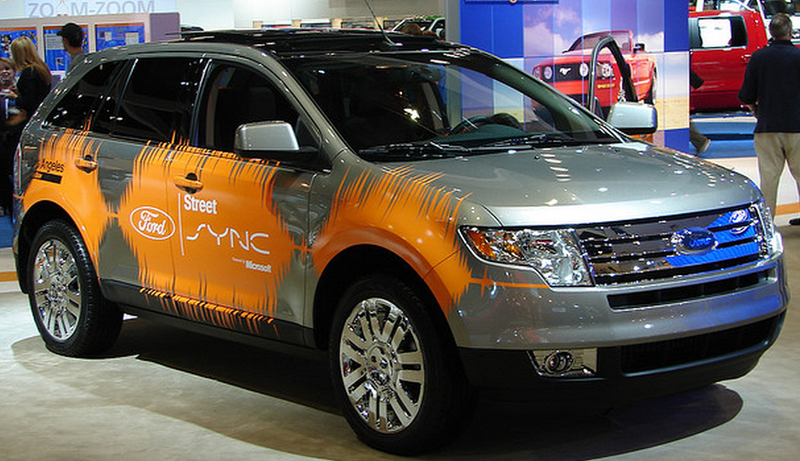 But maybe, just maybe, Microsoft will really launch a car, in collaboration with a major manufacturer. That would be something to chew on.